A rock band featuring twin vocals. In 1999, formed by Kentaro Sasaki (Vo, B) and Akira Shimooka as they began recording demo tapes. In 2001, began performing live in Tokyo with a support drummer. In 2002, Shuichiro Saito (Dr, Vo) joined the band to become a trio band. In 2003, released the album “Sekai wa Maboroshi” and EP “Nichiyoubi no Yoru Mitaida”. In June 2004, due to the success with the aforementioned releases, re-released the two works in one disc, “Analogue Fish”. Has continued releasing high-quality works since then. Although the band had participated in numerous summer music festivals including “FUJI ROCK FESTIVAL”, the drummer, Saito, left the band in March 2008, due to ailment. In July 2008, released the album “Fish My Life” with the support of seven guest drummers. In October 2009, Saito made a return to the band with the 10th anniversary commemoration event “10×10×10” held at Shinkiba STUDIO COAST. In September 2011, released the album “Koya / On the Wild Side”. 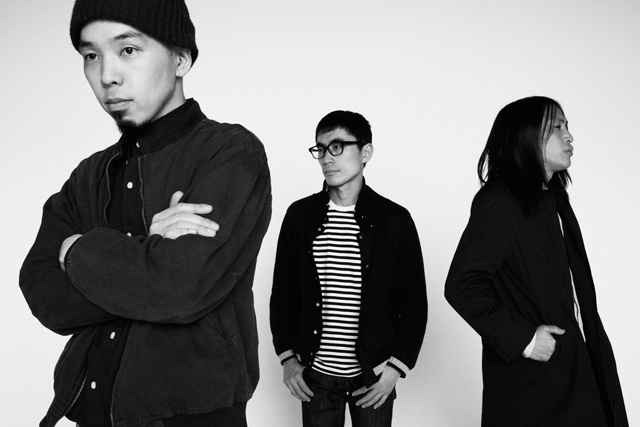 In March 2013, released the album “NEWCLEAR”.